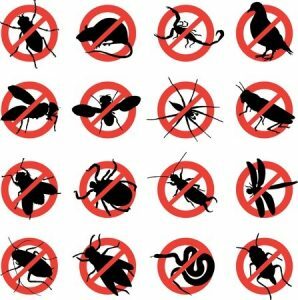 A-One Pest Control has proudly provided the business owners and residents with exceptional pest controls services for over 30 years. Learning that you have an insect infestation can be unnerving and stressful. However, trusting that the pest control company you are working with has the tools and the equipment to address your infestation thoroughly, can take some of the stress out of the situation. A-One Pest Control has a well-earned reputation for 100% customer satisfaction and, as a registered business with the BBB, we have never had a customer complaint. • Mold and Fungus – harmful mold and fungus grows in your home when there is too much humidity in your indoor air. This can be caused for a variety of reasons but, the result is condensation accumulating on the ceiling, walls, and windows. When the mold and fungus grows it will release spores into the air exposing you and your family to dangerous respiratory infections. • Raccoons – If you wake up in the morning and have notice that your garbage has been spread all over the neighborhood chances are you have raccoons. These annoying creatures hide in your attic, chimneys, basement, and under the porch. • Wood Beetles – Often mistaken for cockroaches, wood beetles are round and black and winged. They like to eat items made out of wood including doors, furniture, and flooring. • Cockroaches – Cockroaches are one pest that absolutely need to be addressed by a professional and eliminated. These insects transfer disease and their feces causes dust that is especially dangerous for those with asthma. • Fleas – If you notice that your cat or dog is excessively grooming and scratching there is a high probability that he has fleas, and thus you have fleas. Typically fleas prefer to feed from their animal hosts, however, they will bite people and can transfer diseases like tularemia and typhus. • Small Ants – It is easy to recognize small ants by the quickly moving line of worker ants crawling along the floor or walls. They are especially active from June through August. • Earwigs – Earwigs can be found under things that have accumulated moisture. Some people believe that earwigs will crawl into their ears while they are asleep and lay eggs, however, this is an unfounded myth. • Silverfish – Silverfish prefer to stay in dark places that have a lot of moisture including attics and basements. They are especially drawn to wet paper and wet clothes. • Sowbugs – Although they look similar to pill bugs, sow bugs are not able to roll their bodies up the way that pill bugs can. Sowbugs are unable to retain water in their bodies so they like to stay in damp places. • Crickets – Crickets are typically not active during the daytime, as they are nocturnal. They are omnivorous and prefer moist conditions. You can usually locate and identify crickets based on their chirp. • Centipedes – Centipedes like to stay hidden away and go unseen. They never come out during the day and are therefore rarely seen by people. While their venom is not dangerous to humans, they will bite if they feel threatened and their bite can be painful. For over 30 year A-One Pest Control has been a trusted partner for the Medford residents and business owners in a variety of pest control situations. We have earned a firm reputation for delivering 100% customer satisfaction. You can trust that when you work with A-One Pest Control you are working with professionals that will deliver exceptional and thorough pest control methods that will locate and remove the source of your infestation.